Recreational Paddles for sale for Sit ons, Inflatables, Recreation & Touring from Kayaks & Paddles Canoe Shop. Asymmetrical polypropylene blade construction on a Alloy shaft shaft. A good Recreational & Touring paddle not suitable for white water paddling. Asymmetrical polypropylene blade construction on a glass fibre shaft. 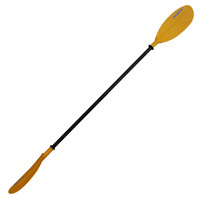 A good Recreational & Touring paddle not suitable for white water paddling. 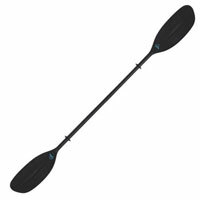 Touring paddle with mid-sized, lightweight, stiff blades designed for paddles who like a low or high angle paddling style. High Density Polypropylene Blades on an Alloy Shaft. A good solid entry level childrens paddle perfect for use with sit on & Recreational canoes & Kayak. Length 185cm Right Handed. Colour of blade may vary.